Sunnnyhill - Your friendly Neighbourhood Best Full Service In Town Fuel And Convenience STOP! Sunnyhill Gas features Petro King Fuels with full service pumps. We also sell Propane for the BBQ, forklift propane and commercial propane,Out door patio heaters and construction site heaters. We also have a full service variety store to serve most of your family needs. As well as: Cigarettes, tobacco products, and the cheapest smokes in Cambridge. Lottery Tickets, The Best Service... and of course, the smiles are absolutely FREE! 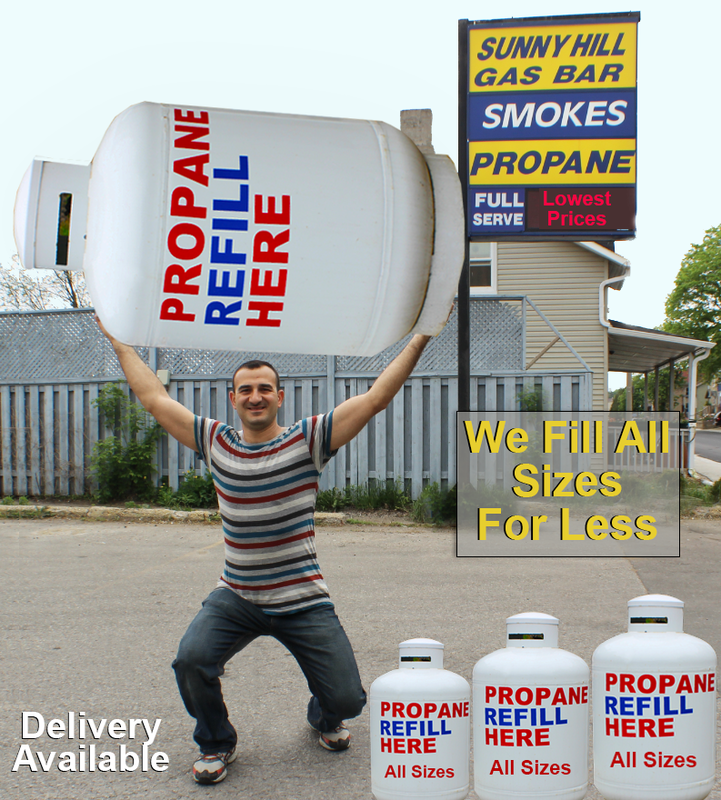 New Propane tanks from $24.99 plus taxes. Friendly local service for Hespeler. Quick Hwy 401 access. We have all your one stop conveniece needs and we pump your gas. Fast! 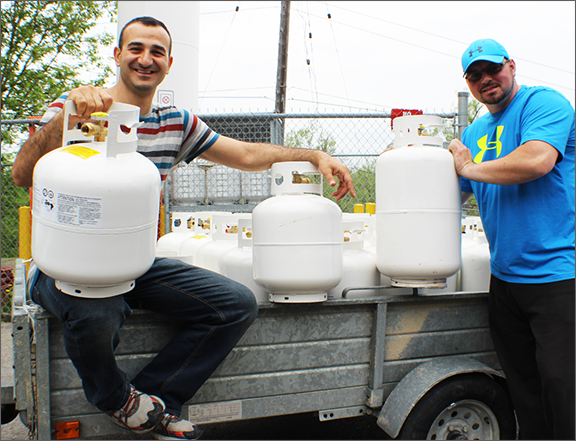 We also offer propane cylinder and propane tank disposal service.